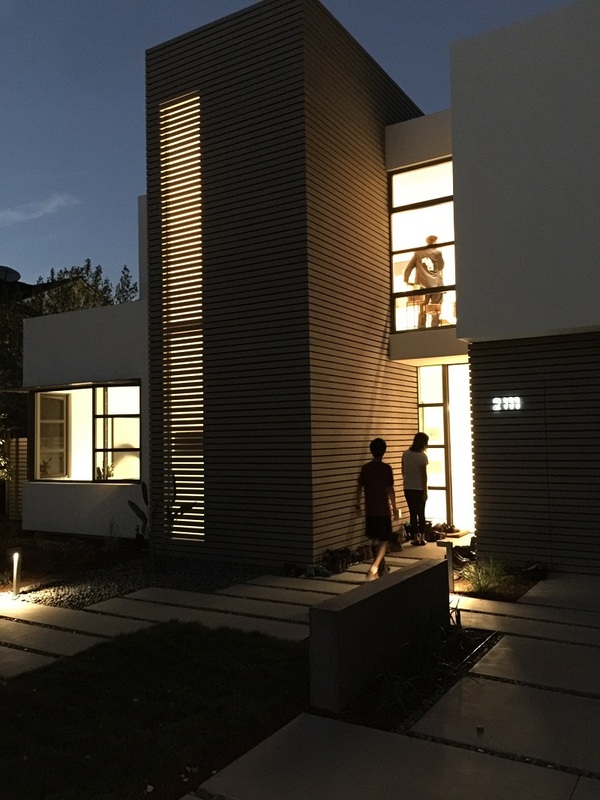 On the eve of the completion of the Lantern House, Feldman Architecture and Northwall Builders welcomed friends and colleagues into the Palo Alto home to celebrate the culmination of their joint efforts. The late-October evening was warm enough for guests to mingle on the patio and stroll out onto the lawn. Inside, they explored the expansive basement quarters and marveled over the master bedroom’s wide windows opening over the backyard. Among the partygoers was the home’s owner, an entrepreneur and graduate of Stanford Business School who lives and works in Southeast Asia. He had flown in for the week to see his nearly-finished home, a trip he had made only sporadically throughout the house’s design and construction. 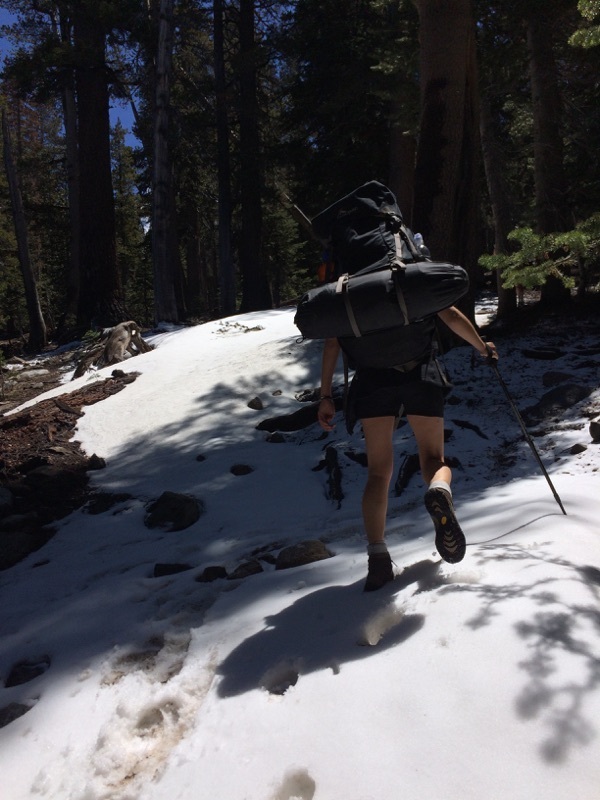 Not only did the client learn that collaborating across a great distance was both possible and rewarding, but he developed new aesthetic preferences, as well. At the start of the design process, the home’s grey color scheme was never at the top of his priorities. Now, he’s copied the Lantern House’s palette of “greys and whites mixed in with a little bit of glass” for his office in Southeast Asia. 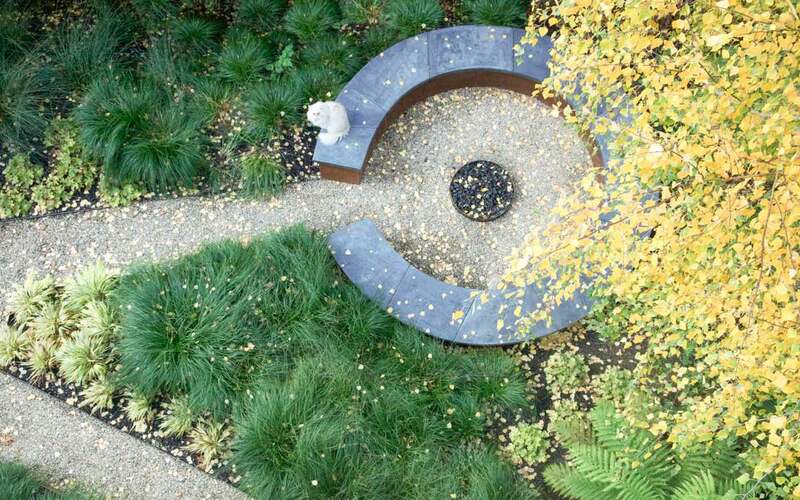 Similarly, he was unfamiliar with roof gardens before working with Feldman, and is now very much taken with the concept and intent on installing lights in his own. The most impressive feature of the new house, though? The kitchen, says the client. 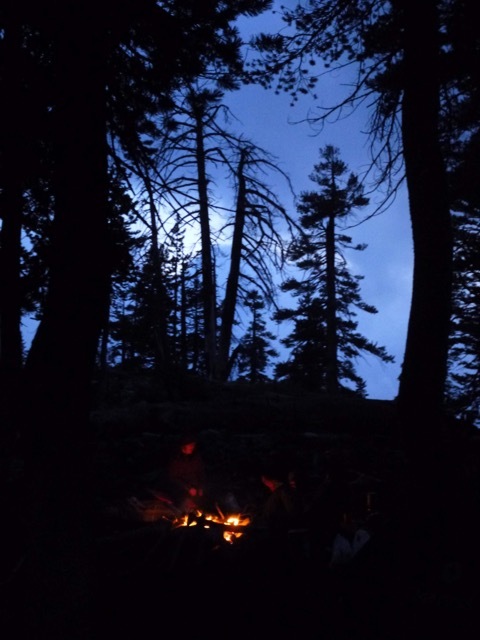 “I come from a place where the kitchen is tucked away and covered. 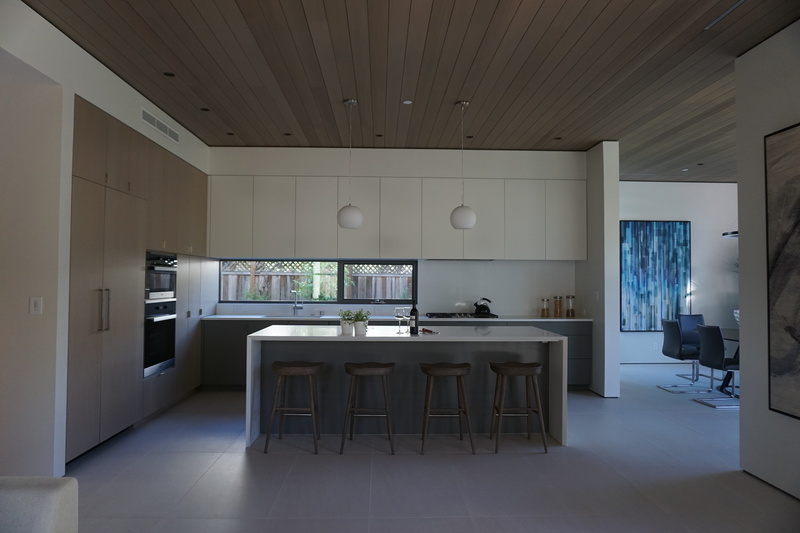 In America, the architecture is built around the kitchen,” he observed, referencing the home’s great room that includes both cooking and living areas and opens onto a covered patio through sliding glass doors. As the largest room in the house that is filled with natural light during the day, it is certainly the hub of the home. During the process of designing and constructing the Lantern House, the client learned that his work would require him to delay his move back to the Bay Area; he would have to rent the house for 2-3 years before moving in himself. 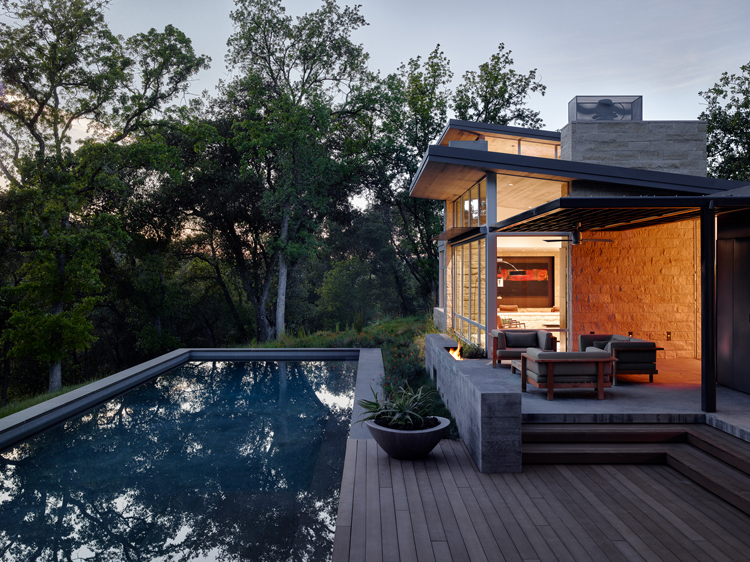 This knowledge – that he was building a house for strangers in addition to himself and that his move to Palo Alto would not come on the heels of the project’s completion –- added a new challenge to the design process. “It’s been difficult to be detached emotionally from the project, knowing it’s going to people who will not love it as much as I would,” he explained. On the evening of the celebration, he was left with mixed feelings – thrilled to see the physical structure built from his ideas, disappointed that, at the end of that October evening, he would leave right alongside the rest of the party’s guests. In November, we had the pleasure of welcoming Peter Yu of Yu Structural Engineers into our office for an engaging presentation about his past and current single-family residential, multi-unit residential, and commercial structures. Peter and Steven had collaborated extensively during Steven’s tenure at his prior firm, and it was great for the rest of the office to be introduced to Peter and his body of work. 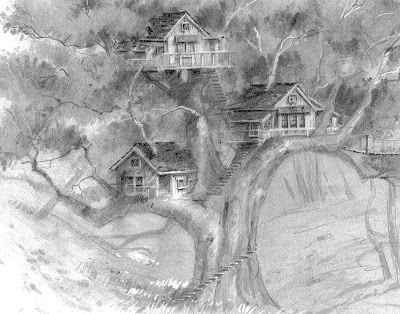 While the projects that Steven and Peter had collaborated on were elegant, modern residences, the highlight of Peter’s presentation was more fantastical in nature: a treehouse home. 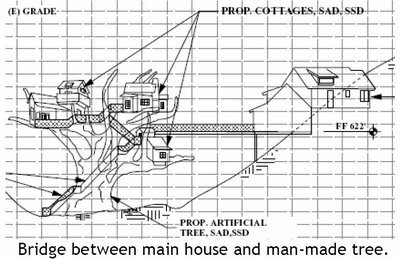 The house, comprised of three separate structures, required Peter and his team to build a 60 ft artificial tree capable of supporting a fully-functional family home. Starting with clay models and working their way up to the life-sized final product, Peter’s team tackled the challenge of making their clients improbable dream home a reality. Thanks for sharing, Peter! We are so impressed. 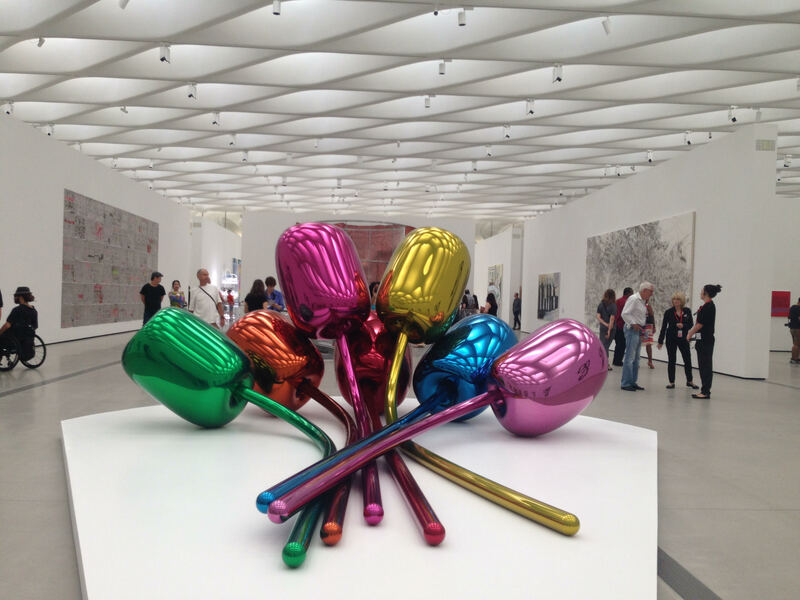 I recently had the opportunity to visit the Broad Museum, a contemporary art museum in downtown Los Angeles, during its first few weeks of opening. 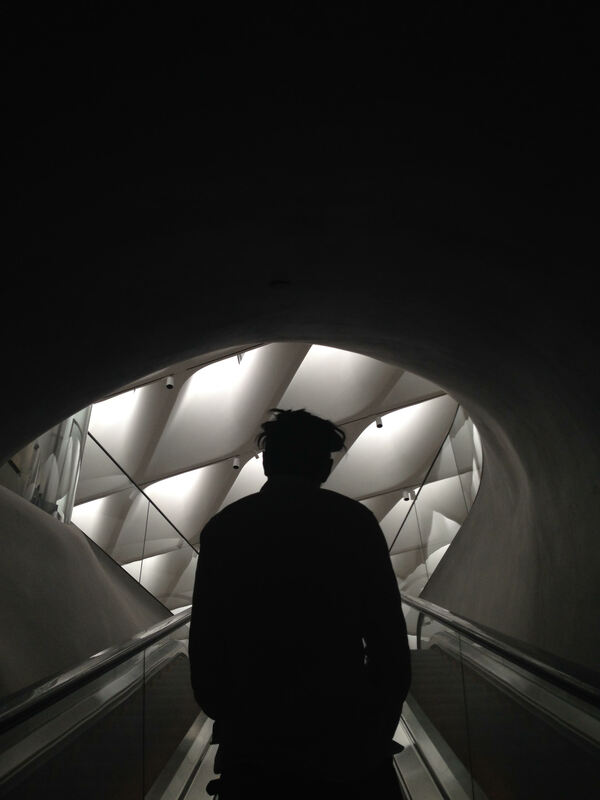 I suppose it is only in our youth that we consider actions that require us to leave the comfort of our beds, drive for six hours, and arrive in a city at 5:00 AM for the sole reason of visiting a museum. With no tickets, our only recourse was to wait in line. We thought we had arrived early. We also thought it was autumn. We were wrong on both counts. People actually cheered when an attendant emerged from the building pushing a cart full of water bottles. Standing outside, it struck me that the museum’s building will inevitably draw its context from the neighboring Walt Disney Concert Hall. The contrasts seem clearly intentional: containment vs accumulation, repetition vs fragmentation. 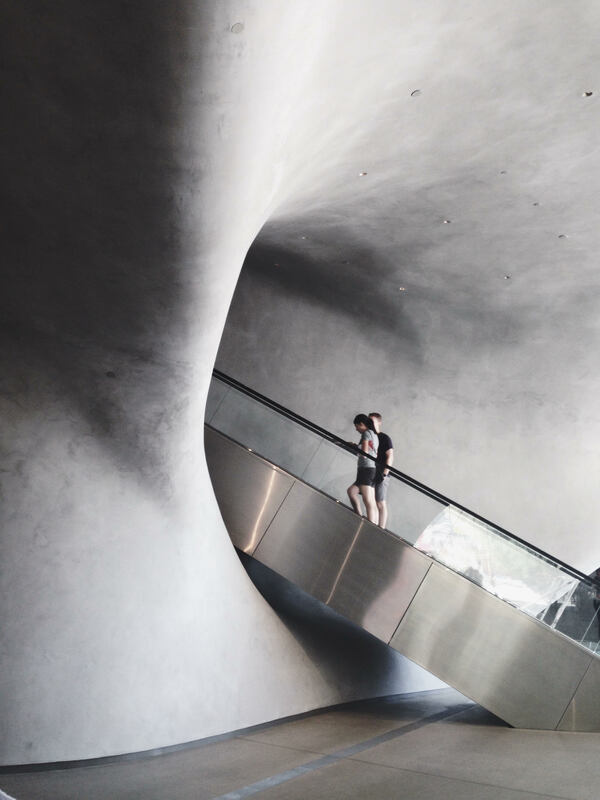 Within the museum, there is a very simple, but experientially, very strong differentiation between the lower and upper floors. I would liken it to the Titanic: the dark, subterranean underbelly of the engine room almost defies belief that just a few floors above, people are dancing in a sparkling, luminous ballroom. In the lobby, the dark walls have been molded perfectly smooth. 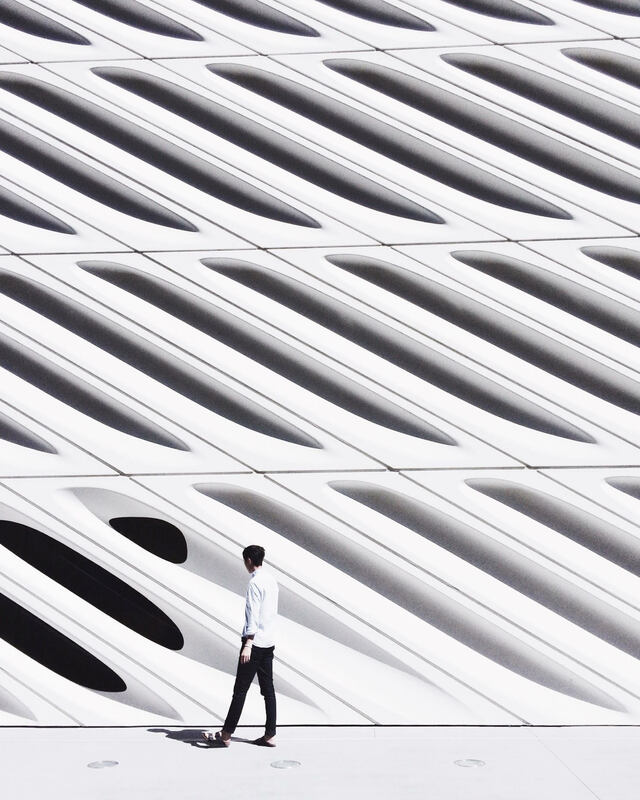 And within this polished surface, the gentle slopes and curves of the wall give way to a singular void, where people are swallowed whole to be led upward. It’s not merely a simple change in elevation; one quite literally emerges from the cave below into a place of light. 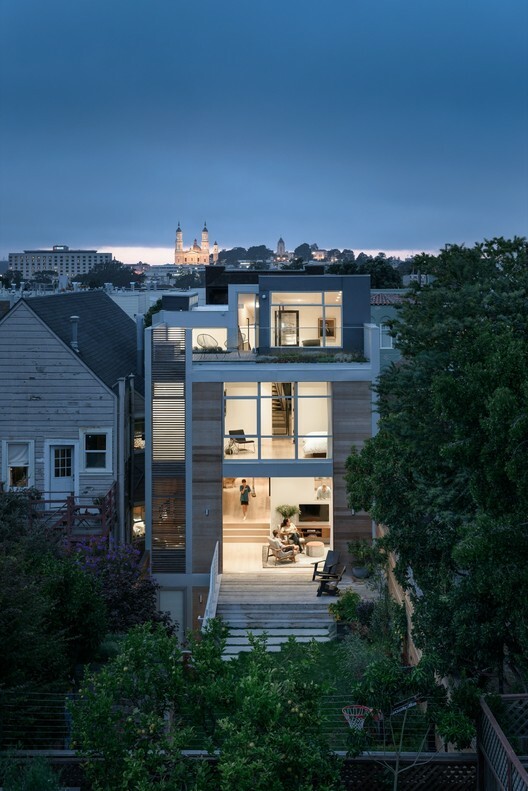 At Feldman Architecture, fall has brought new projects, exciting progress on continuing projects, and opportunities for community engagement ranging from red carpet events to fun on the beach in sunny San Francisco. We’re thrilled to announce that multiple Feldman projects achieved national recognition this season! The Butterfly House received the American Architecture Award for 2015, a prestigious honor bestowed by the Chicago Athenaeum and the European Centre for Architecture Art Design and Urban Studies on the best new buildings designed by American architects. 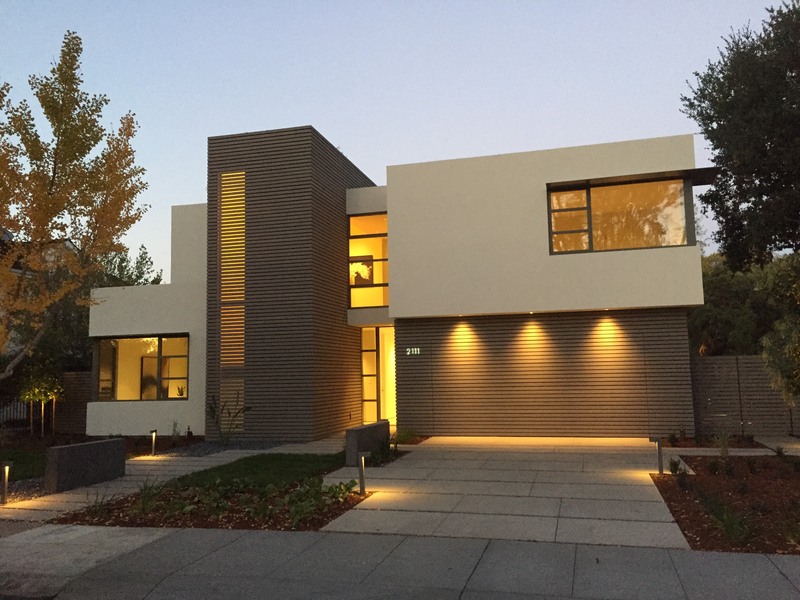 Both Creekside House (above) and Fitty Wun (right) were honored in the 2015 Remodeling Design Awards – Check out the interviews with the architects and clients here andhere. Fitty Wun won its category’sGrand Prize and was praised for its open and creative design. 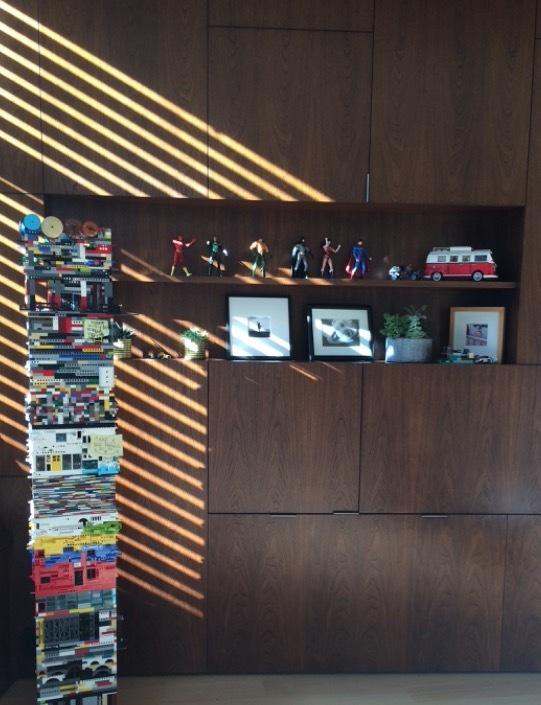 The whimsy of the home’s renovation was also recognized by the 2015 Builder’s Choice/Custom Design Awards. In September, Jonathan walked the red carpet as a co-chair of the Design Industries Foundation Fighting AIDS (DIFFA) Designs Auction (below). 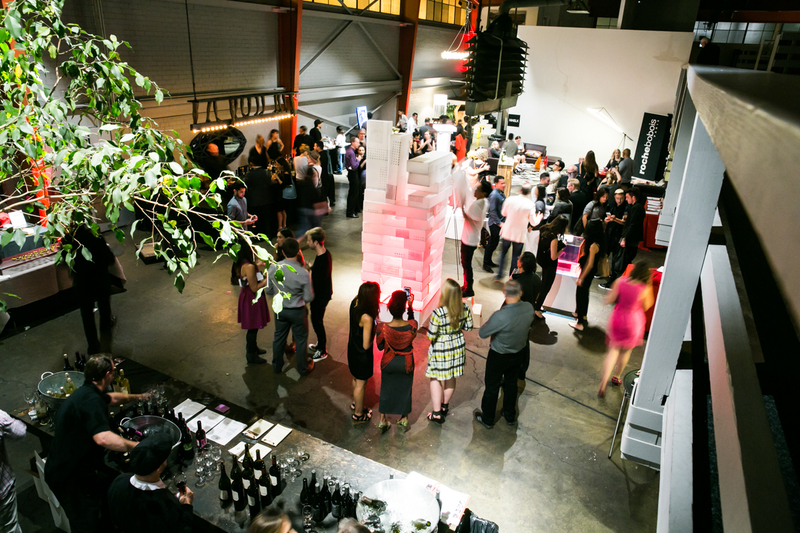 The evening featured fine art, fashion, and furniture created by Bay Area artists and designers in a silent auction to support HIV/AIDS research and direct patient care. Jonathan was delighted to be a part of DIFFA’s initiative, which has raised and granted over $40 million to benefit men, women and children living with HIV/AIDS and to support preventative education for at-risk individuals. The whole Feldman team and our families spent a day at the beach for this year’s cinema-themed LEAP Sandcastle Contest (below). 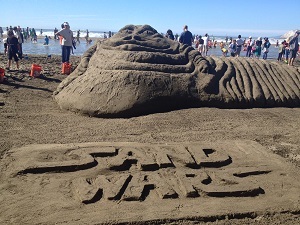 Working with students from the Jefferson Elementary School, and with our teammates at Peninsula Custom Homes, ZFA Structural Engineers, and Thuilot Associates, we created a wonderful sand monstrosity in the form of Jabba the Hutt. 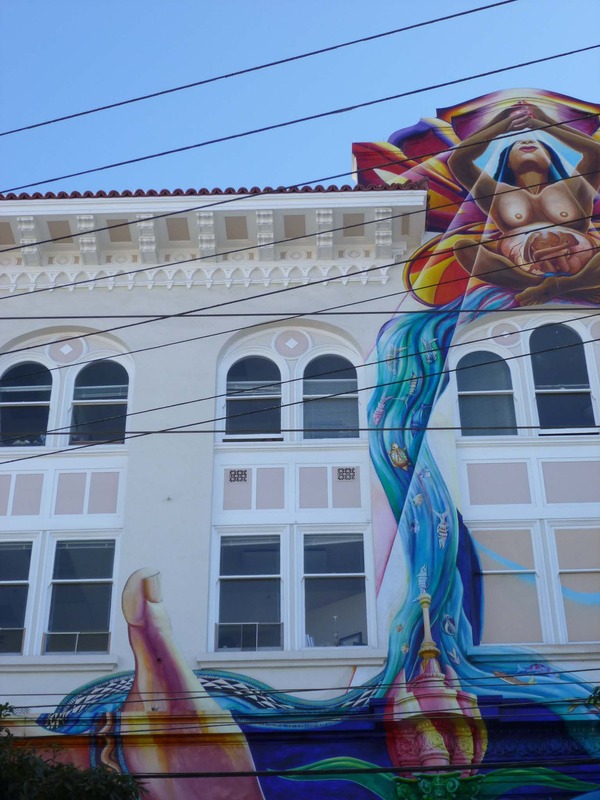 Our sculpture was a huge success, and our team raised over $10,000 to support LEAP’s educational programs in music, dance, theatre, creative writing, visual arts, and architecture in over twenty-five Bay Area elementary and middle schools. 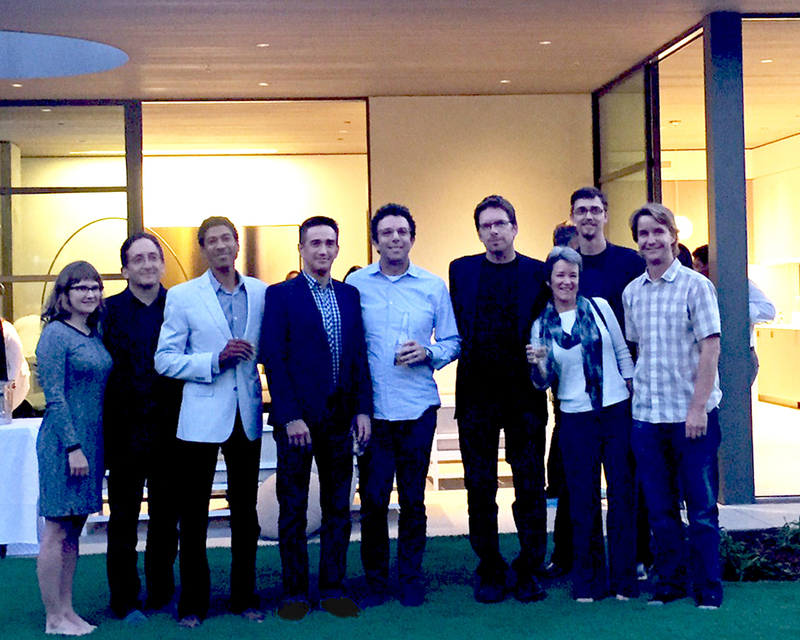 In October, we had a great time celebrating our Palo Alto Lantern House and the team involved with its design at the house itself (left). Another project, an extensive remodel of a stately Victorian home, was featured in the Junior League of San Francisco’s 21st Annual Homes Tour; the Footsteps in the Fog Tour led participants through Presidio Heights, revealing the history, interior design, and architecture of local private homes. On a tour of our own office, students from the AIA student group at UC Berkeley learned about the firm’s sustainable practices and technology tools. Finally, we are pleased to welcome two new staff members to the firm. Matt Lindsay joins Feldman Architecture with a wealth of local and international experience ranging from fine furniture making and wood construction in coastal New England to large institutional projects in the United Arab Emirates. Abigail Bliss is recent graduate of Amherst College (Jonathan’s alma mater!) who is fine-tuning our marketing texts and boosting our social media presence. We want to wish a warm welcome to warm winters to these two East Coast transplants! We are grateful for this season’s successes and excited to see what the next few months will bring! On the heels of our joint success at the 2015 LEAP Sandcastle Contest, where we joined forces with ZFA, PCH, and the students of Jefferson Elementary to build a Jabba the Hutt sand monstrosity, Stefan Thuilot visited our office to share some insight and images of some more elegant projects. Many of the projects Stefan shared were carefully crafted garden designs for private residences, and their understated aesthetics seemed both carefully planned and natural, engaging with the original site instead of supplanting it. 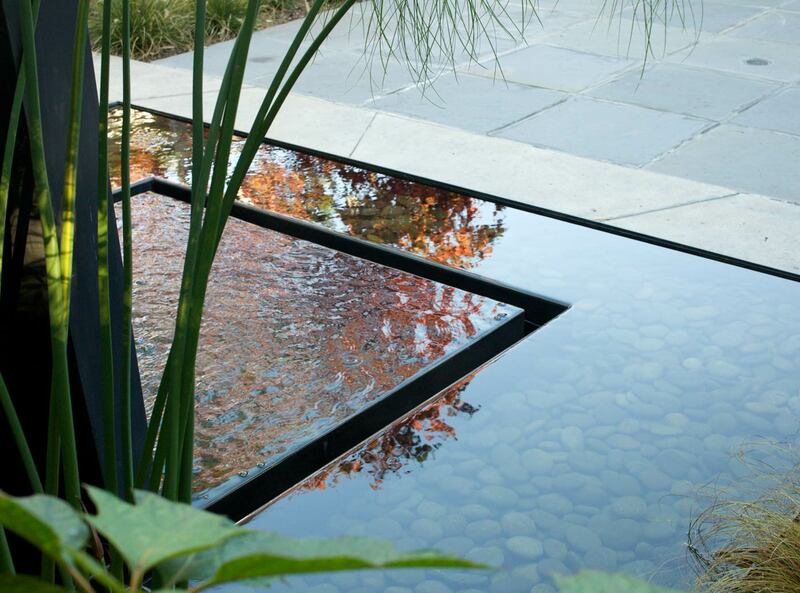 Using fire and water as dynamic design components, Steven weaves disparate elements of each garden puzzle into a coherent whole to heighten the sensory experience it offers. 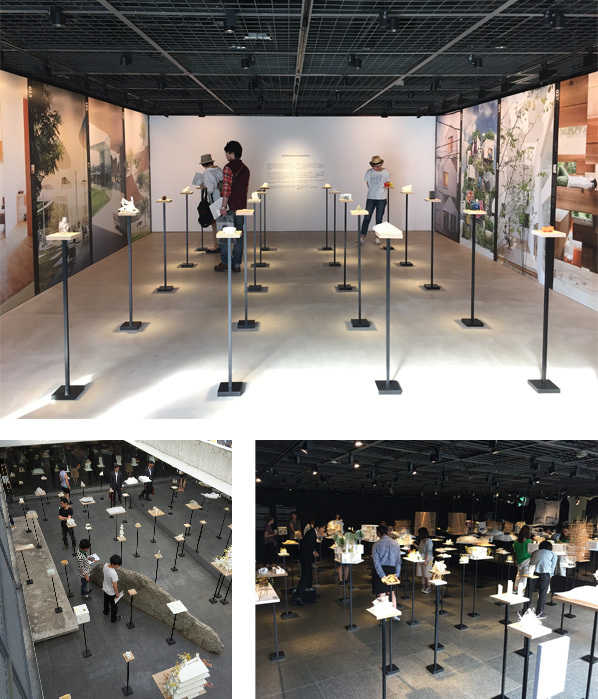 Stefan’s exploration of indoor-outdoor living spaces requires extensive collaboration with architects like FA itself, and it was interesting to take a peek at the opposite side of that back and forth. 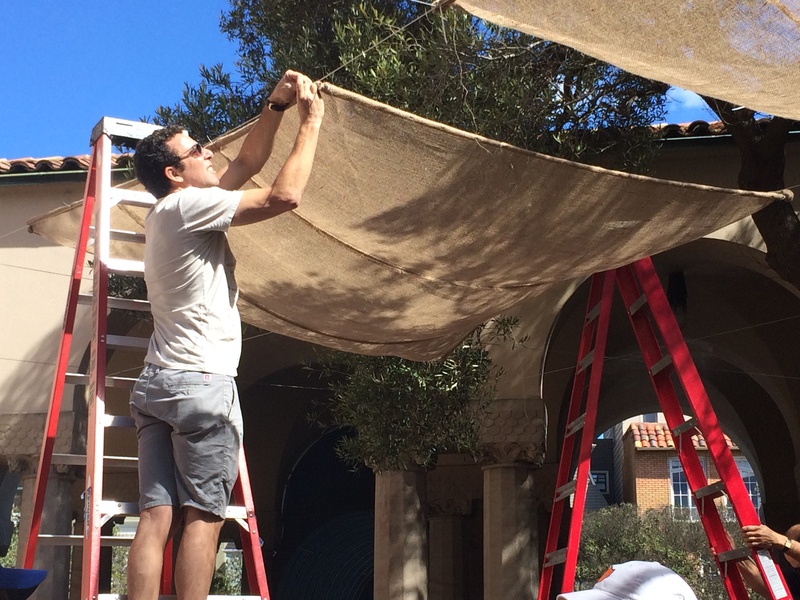 This past weekend, a team of volunteers from the Congregation Emanu-El gathered to realize Jonathan’s sukkah design in the temple’s courtyard. Constructed for the Jewish festival of Sukkot, a sukkah is a temporary hut intended to replicate the wilderness dwellings built by the Israelites during their exodus from Egypt to the Holy Land. Traditionally, a sukkah has three sides, branches for a roof, and serves as a space for eating, gathering, and sometimes sleeping during the holiday. Always, the roof should be thin enough that one can see the stars from within the dwelling. Like traditionally simple sukkahs, Jonathan’s design celebrates the harvest with modesty. 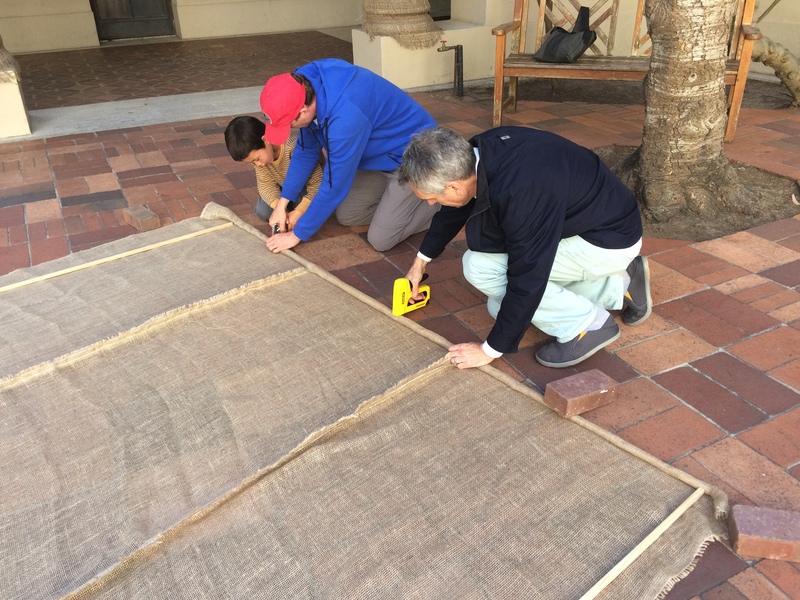 Twelve burlap panels are suspended in the temple’s courtyard, rising in height as they slope up around the fountain at the space’s center and towards the doors of the temple itself. Each constructed of four slender wooden beams creating a rectangular frame for the burlap, the panels billow and bend gracefully in the wind and leave bold, geometric shadows on the bricks below. Update: The sukkah continues to welcome the community with great success throughout the holiday. 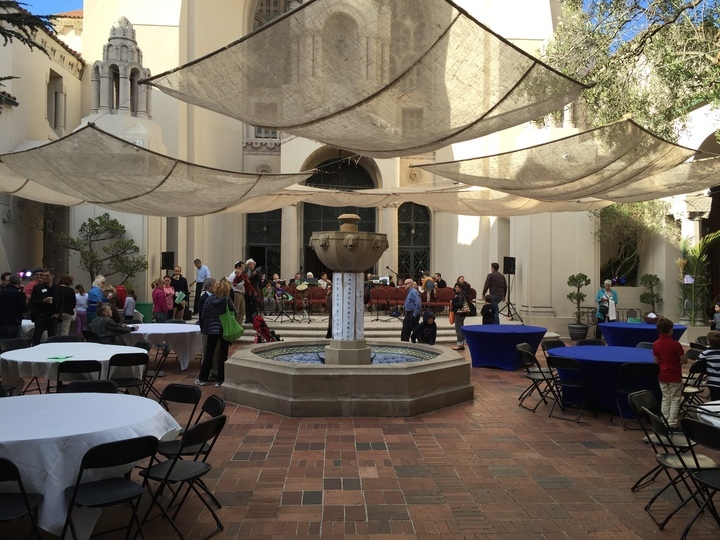 Sunday evening, a crowd of people enjoyed fulfilling the mitzvah of eating in the sukkah, and the courtyard has since hosted preschool breakfasts, staff lunches, the congregation’s Youth Education family day, and Wednesday night’s Women’s Group gathering. Happy summer from Feldman Architecture! 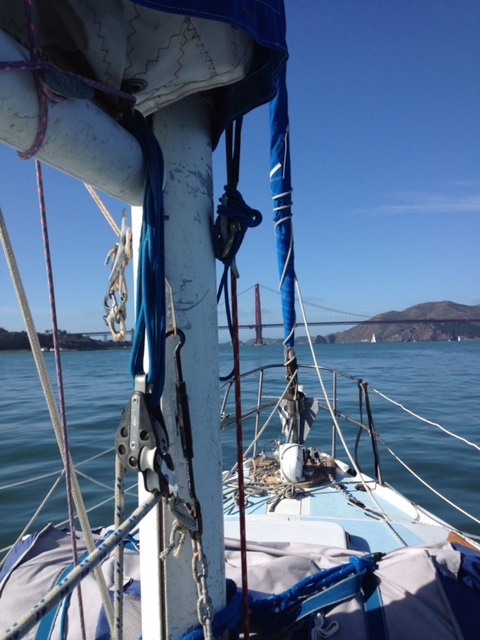 This summer brings new projects, fresh faces, and a surprising amount of hot weather in San Francisco. 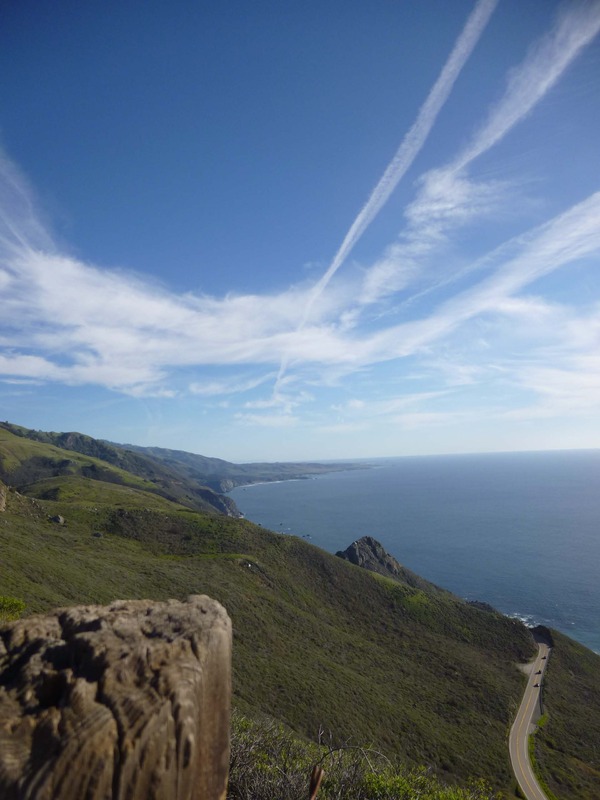 Our new endeavors are a diverse group of projects ranging from residential projects in Santa Cruz, Tiburon, Los Altos Hills, and Menlo Park to a civic installation to a commercial kitchen. 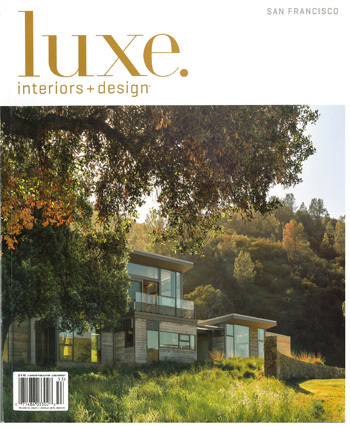 The Summer issue of Luxe Interiors + Designcurrently on stands features our Spring Ranch project on the cover. 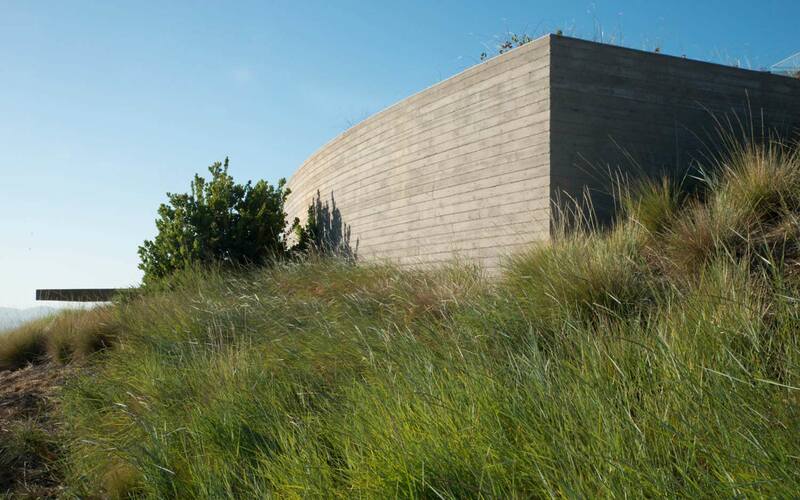 The article focuses on the sustainable features such as rammed earth and thoughtful configurations that promote passive heating and cooling throughout the year. The ultimate goal of an environmentally conscious structure that marries into the landscape is part of what makes this house special and the orientation frames the sweeping views toward the owner’s 500-acre ranch. This month, the IIDA Northern California Chapter is hosting a tour of our Presidio VC Offices to celebrate the project winning an Honor Award in their 2015 awards program. We continue to be overwhelmed by the response to our premier commercial endeavor. The tour will be led by the project architects and spaces are available through the IIDA website if you would like to attend. 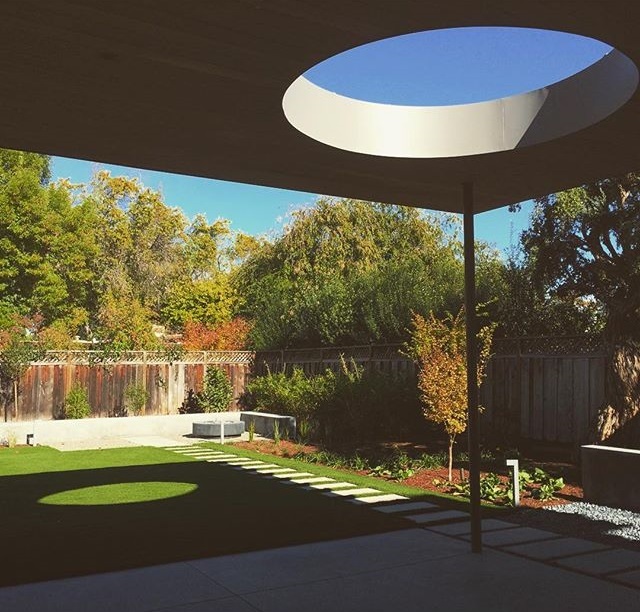 In other news, spring was the optimal moment to capture two recently completed projects within the context of mature landscaping in Carmel and Portola Valley. 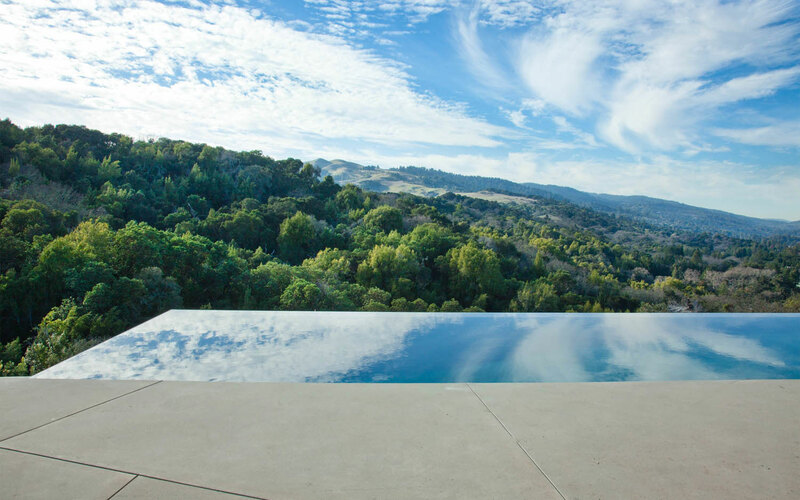 The Portola Valley Ranch shoot is a new residence on our website and above is a sneak peek at the Carmel house. On September 24th, Jonathan will be co-chairing the DIFFA Designs fundraising event, presented by Roche Bobois. DIFFA (Design Industry Foundation Fighting Aids) has granted more than $41 million to organizations nationwide that provide direct care for people living with HIV/AIDS and preventative education for those at risk. Jonathan is delighted to take part in an evening for such a good cause. The Feldman crew is excited to announce that we are once again taking part in the LEAP Sandcastle Contest in October, teaming up with Peninsula Custom Homes, ZFA Structural Engineers, and Thuilot Associates. 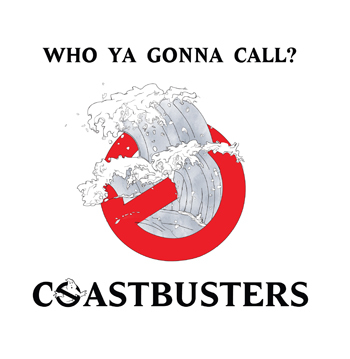 This year’s theme is “Sand Cinema” and our team is known as the Coastbusters! We love being able to utilize our experience in the field of architecture and collaborate with colleagues for such a great cause. 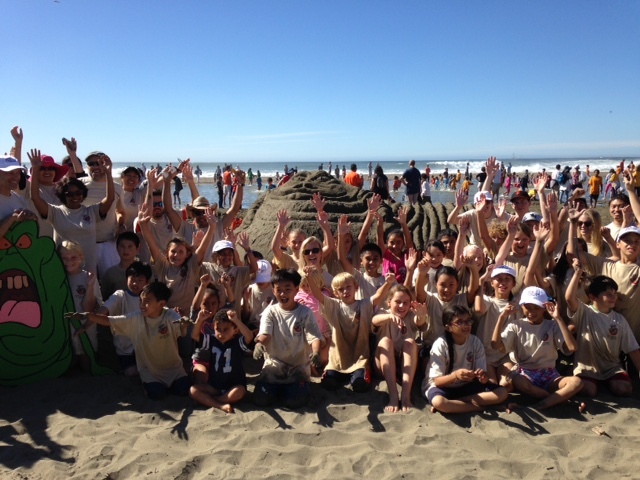 We will be getting our hands dirty and supporting students from Jefferson Elementary School again this year in NorCal’s largest sandcastle building contest on October 10th at Ocean Beach. A big fundraising event is in the works for September so stay tuned! 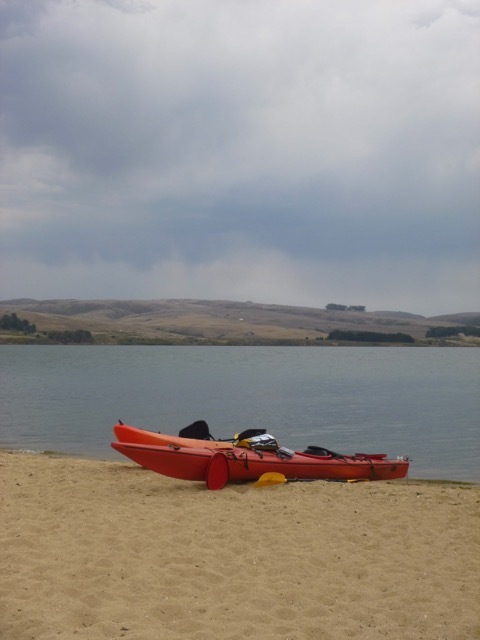 You can find out about more team fundraising activities as the details develop or donate by visiting our LEAP team page here. 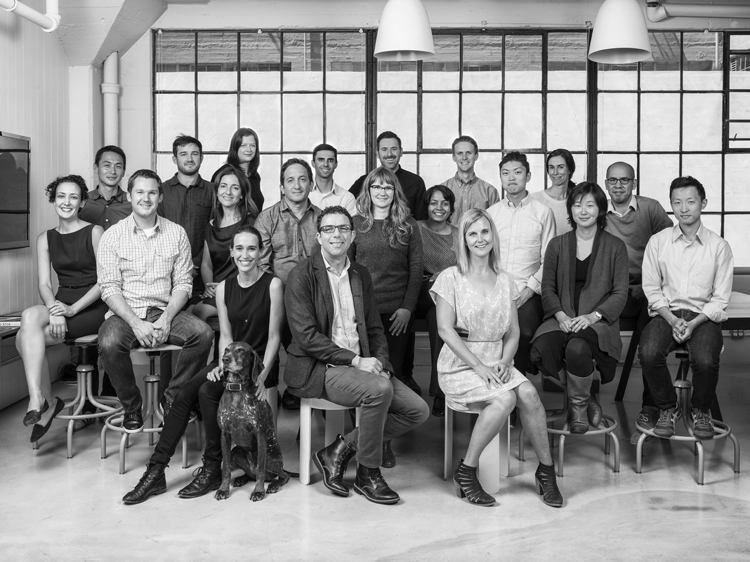 In an effort to properly showcase the talented crew behind the firm we had an in-house photo shoot to have new staff photos taken and a group shot of the entire team! We were actually able to get one shot where nobody blinked including our mascot Briar Wu. We will be updating our staff pages as soon as Jonathan decides which version of his ‘blue steel’ he likes best. We would like to give a big welcome to two new employees, Ahlam Reiley and Nick Polansky. 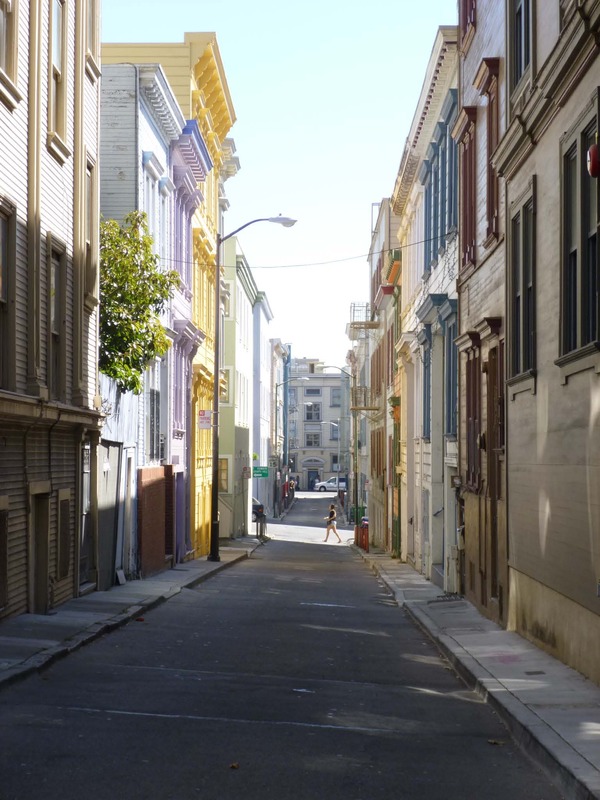 Ahlam is a licensed, LEED architect with commercial and residential experience in the Bay Area and in the Middle East. 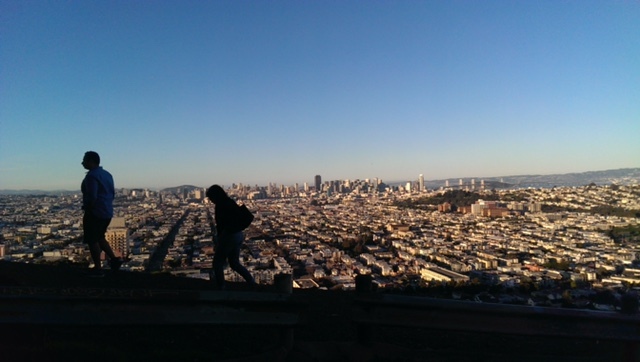 Nick is an MIT graduate and designer with residential and restaurant experience who recently completed an artist-in-residence program at Autodesk Pier 9. 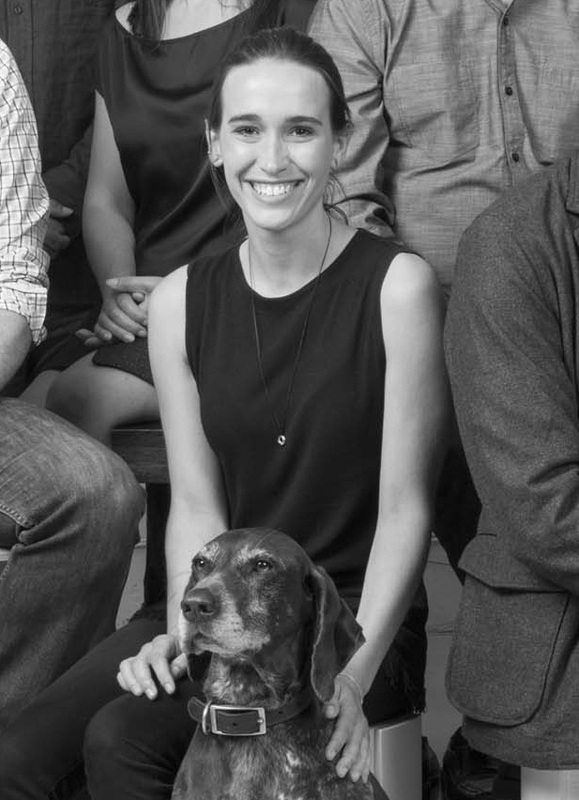 Their range of talent is an exciting addition to the Feldman team. 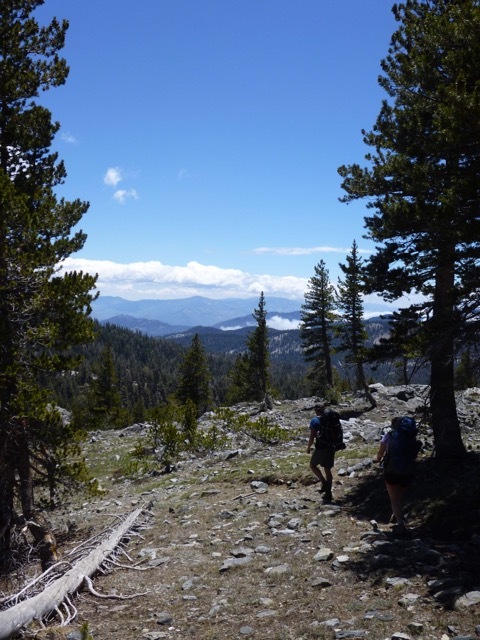 Have a wonderful rest of your summer, and we’ll see you in the fall! 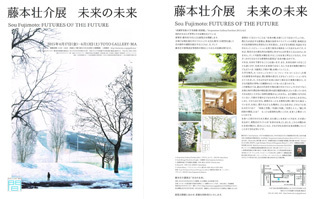 A quick report from my visit of “Sou Fujimoto: FUTURE OF THE FUTURE” exhibit at Gallery-Ma in Tokyo. 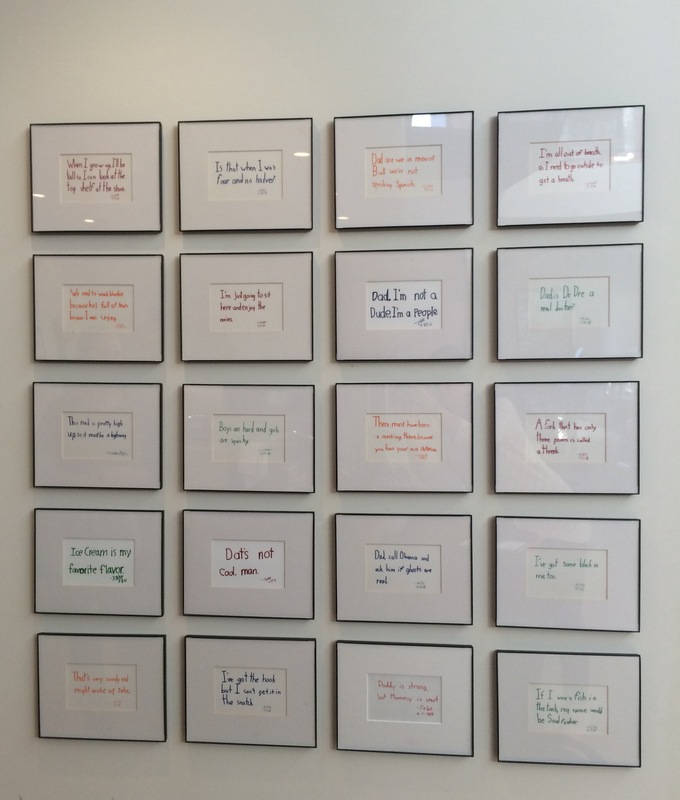 You can see the rigor/seriousness for the exploration of new and unconventional ideas in these models, but you can also see that there is a sense of humor and curiosity in his approach, and I really enjoyed that duality. 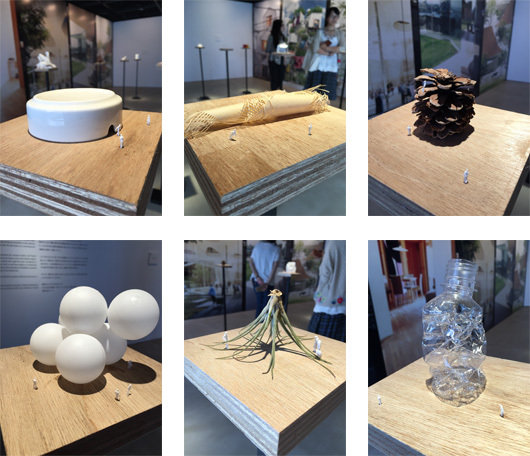 Some of the models looked like ideas only kids would come up with: a pine cone as a shelter? You also saw ideas being recycled/reimagined/reinvestigated. In some instances, parts of models were literally repurposed and reincorporated into the subsequent iteration of the study models. Forms were derived from these explorations, but the explorations were never just for the sake of form-making. 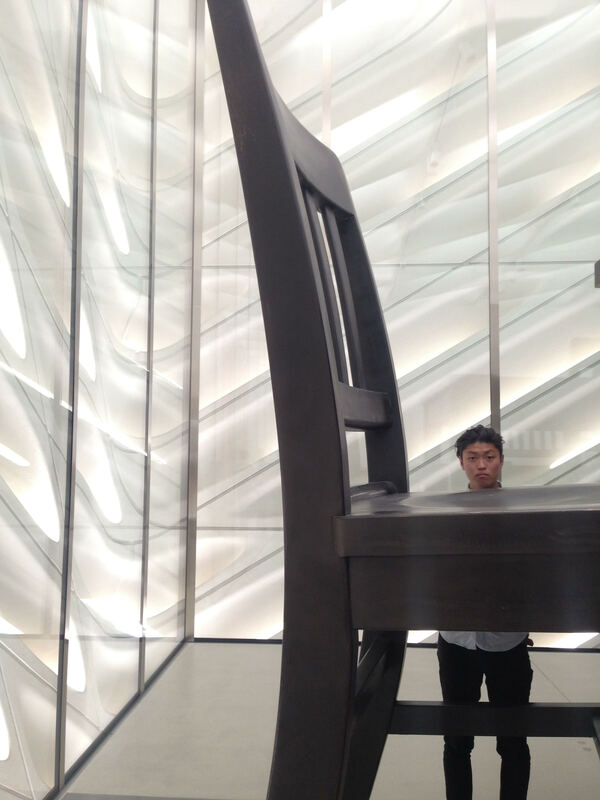 I have seen a number of great exhibits in this space over the years but I found this one to be extra special. It helped that they had amazing contents to work with, but I was really impressed with the presentation. The two rooms and the courtyard were filled with a series of study models. 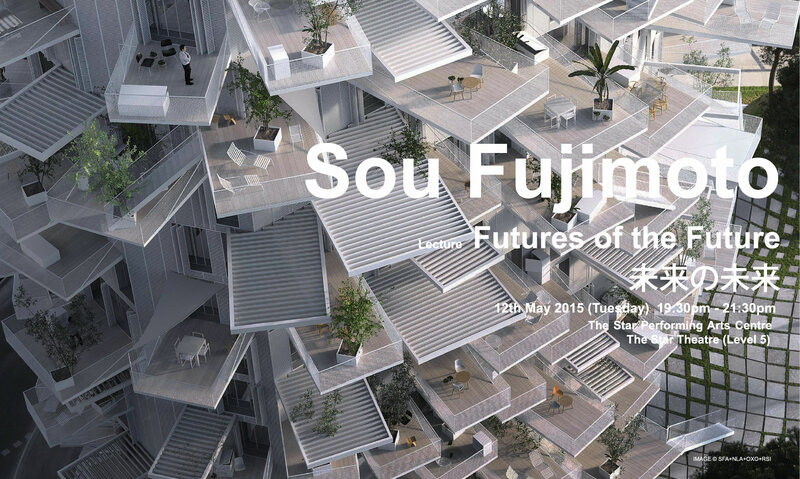 The scales of the models worked really well with the scales of the spaces, and the models were curated to tell a very concise visual story of the Sou Fujimoto’s philosophy through the evolution in his design.